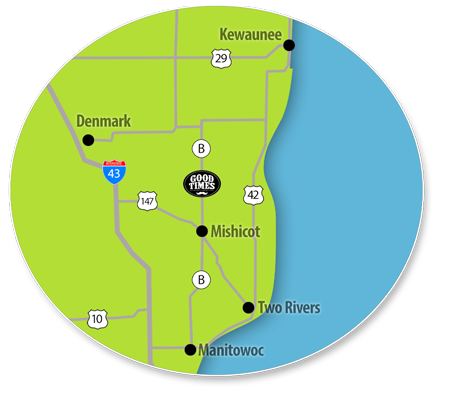 Good Times Restaurant & Banquet Hall is located 4 miles north of Mishicot and two miles south of BB at 16607 County Highway B. Your destination is just past Holmes Rd on Hwy B. If you reach Two Creeks Rd you've gone about 0.2 miles too far.